This task involves students adding a recorded commentary to a photo using a web service called Fotobabble. Fotobabble is not the only application which allows you to add sound to a photo, but it’s probably the quickest and most user-friendly that I have seen so far. Of course, if what you’re thinking about is more elaborate project work, then Voicethread is probably a better bet. However, if you’re looking for a short visual-based speaking task which you can set up and explain in a couple of minutes, this might be just the answer. For this activity, I’ve decided to make the sharing part really easy too by suggesting the use of Wallwisher, click on the link below to see how this might look. Hope you find the task useful! Click on Create, give your photo a Title and browse to your chosen photo on your hard drive – as of yet there is no integration with online photo libraries such as Flickr or Picasa. Allow the application access your computer’s microphone and click on Record to start recording your voice. The maximum length of a recording is 1 minute. If you’re not happy with your first recording, simply click on Record again to have another go. Click on Save when you’ve finished. You now have the option of sharing your talking photo on a social networking site or pasting the embed code directly into a blog or web page. However, if you like having everything in one place, why not create a Wallwisher and get your students to post their talking photos all on the same web page? Go to http://www.wallwisher.com and Register. You will be taken to an editable web page. Select your preferences (URL, viewing/posting options) and give your wall a title and background theme. Click on Done in the bottom right corner. When your students want to add their talking photo, they simply double-click anywhere on the wall. An editable ‘sticky’ note will appear in which they should add their name (where it says Anonymous), a short message and the the URL to their Fotobabble talking photo. The sky, or your imagination, is the limit here really. There are endless possibilities. Here are a few! Hope your students enjoy the task! ← You can’t be my teacher! Thanks! I love Wallwisher and saw Fotobabble tweeted around but hadn’t tried it yet. I like your example and tutorials. I will definitely use this in my classes! Thanks for your kind words, Shelly! I like the idea of tying these together. I always suggested to teachers to upload a video or picture to Wallwisher and have students discuss. With this, you have the ability to discuss with your students and help them get some starting ideas. What a fabulous tool and combined with Wallwisher, it’s even more exciting and interactive. Thank you so much for your wonderful tutorial which I read through yesterday. I came across your lovely site via Twitter. I immediately couldn’t resist giving fotobabble a try and so I followed your instructions and was able to create one within minutes. Of course, I then had to try out fotobabble inside a Wallwisher and that was very easy, too! The list at the end of what your photo could talk about, is really very useful. I’ll be showing your tutorial to a group of EFL Primary school teachers I’m teaching next month. Thanks again! Thank you for the great post. 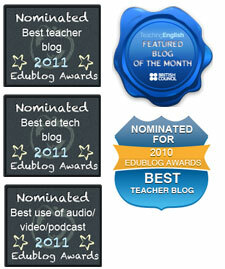 We are really excited about the prospect of Fotobabble being used for education. Keep us up to date with all the great educational projects. Also a note that you can have your students all tag their Fotobabbles with a common tag. Searching or clicking on that tag in the right column will show you all Fotobabbles with that tag. A nice way to group together Fotobabbles. Excellent idea to combine both Photobabble and Wallwisher. I wonder if it’s possible to combine Photobabble with Glogster, using an image linked to a Photobabble. I’ve tried but I keep getting the message: Unsupported media use. What am I doing wrong? In any case, thanks for your great ideas!!! Thanks for your kind words, Olivia! Unfortunately, I’m not much of a Glogster user myself, so can’t really help you with the problem you mention above. “Unsupported media use” doesn’t sound like there’s gonna be much of a solution though! The most popular program for monitoring operating temperatures is Speed – Fan, a program that provides information about both temperature and fan speed. If you are unsure of the date when you want to kiss the girl. The most common place that people ground the amp is by running a wire to one of the bolts that holds down the front seat.